Welcome to the Temperate Pyramid where plants change with the seasons. The major factors limiting growth in temperate regions are climate and hours of daylight. Please start the tour at the pyramid entrance. This map illustrates the five major temperate biomes. Follow the directions and read the plant labels to find the plants along the tour. Hint: 1 metre = 1 huge step. Use the table of contents to read about each plant as you find them. Please remain on the path and do not pick any plant material. 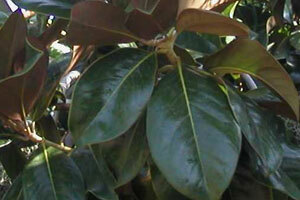 Walk ahead 6m to see the southern magnolia. Look down the path on the right at the deciduous magnolia behind the bunya-bunya tree. Look in the corner on the right. 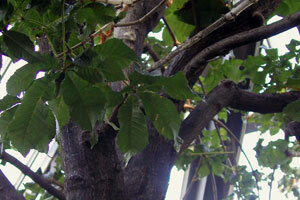 The horse chestnut tree has many uses as well. As you walk down the path, count how many different colors of plants you see. We have many different varieties of flowers in this pyramid! As you walk down the path notice the fragrances of the Temperate Pyramid. Which plants do you think smell the best? 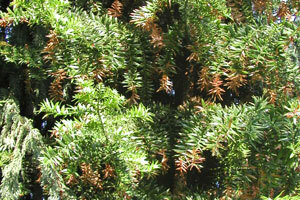 The essential oil from pine needles, twigs and cones are used in aromatherapy and as a cleaning product. 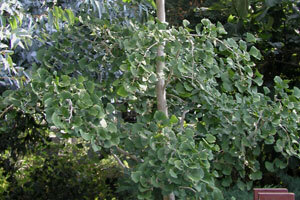 Eucalyptus oil has a strong smell and is used in sweets, cough drops and decongestants. 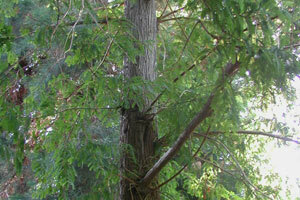 Look left to see the dawn redwood. Redwoods are the tallest living trees on earth. 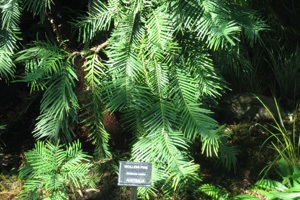 Look left at the wollemi pine, another coniferous tree. Look behind you at the maidenhair tree, which like the wollemi, is old enough that it may have been food for dinosaurs. Unscramble the letters to form words for plants found in the Temperate Pyramid. 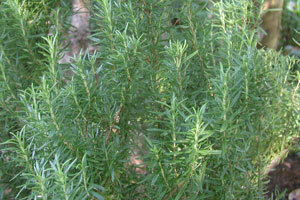 Look left to see rosemary. To enjoy the scent of this fragrant plant, lightly graze your hand across its leaves and then smell your hand. What other cooking ingredients can you find in the pyramids? 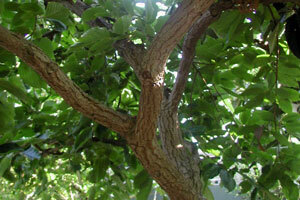 Look right to find one example, the Japanese persimmon tree. 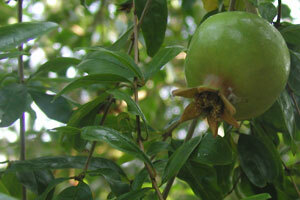 Look right at another fruit tree, the pomegranate tree. Thank you for visiting the Muttart Conservatory and learning more about the Temperate Pyramid. Visit the Temperate Pyramid in a different season to discover what happens when the plants are exposed to different temperatures and light levels. There are more QR Code tours available in each of the pyramids. If you would like to take part in a guided tour of the pyramids, please visit on a Saturday and Sunday when we have scheduled drop-in tours. Please visit the Muttart Conservatory website and Facebook pages for up-to-date information on upcoming special events and information about the facility.